Globalization has brought the world closer. But a section of people, who are very rooted and swear by their age-old traditions and values, feel threatened by it. They always fear the Westerners are here to ruin their ancient tradition and that would mean a loss of identity. Dr Chandraprakash Dwivedi’s MOHALLA ASSI majorly talks about this aspect. 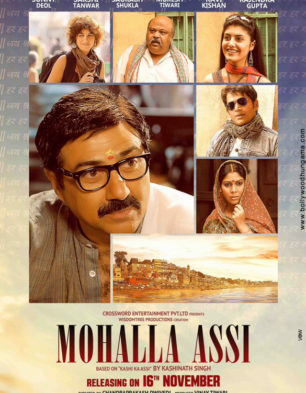 Based in Varanasi, which is also a hot bed for political discussions, this film also has a political and communal colour to it. The film was stuck at the Central Board of Film Certification for a few years and it was passed by the High Court recently. This controversy has got the film some traction. So does this controversy and content help MOHALLA ASSI in making a mark? Or does it turn out to be a disappointing fare? Let’s analyse. Dr. Chandraprakash Dwivedi’s direction is simple and works at some places. 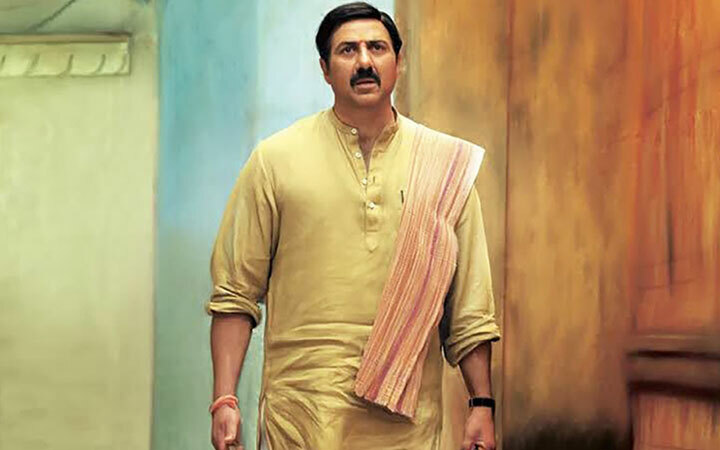 But it’s also flawed as besides the character of Dharmnath Pandey and Savitri, one doesn’t connect with other dozens of characters in the film. Also, the major developments happen in the second hour and it doesn’t make for an exciting watch. This is especially after Dharmnath Pandey dreams about Lord Shiva cursing him and the developments that follow. The climax is strictly okay and the film doesn’t really end on a high. Also, one more problem with the film is that the plot begins in 1988 and ends in 1998. But barring Dharmnath Pandey’s kids, not a single character is shown aging. Amod Bhatt’s music is forgettable and music gets no scope. Amod Bhatt and Utpal Sharma’s background score is dated and gives the feel that the film is long delayed. Vijay Kumar Arora’s cinematography is simple and effective. There are not too many birds-eye-view shots of Varanasi and the lensman ensures MOHALLA ASSI doesn’t seem like a tourism video. Sham Kaushal’s action is nothing great. There’s just one lone action scene and it’s not worthy enough. Bhupendra Singh’s art direction is realistic while Nandita Pandey’s costumes are straight out of life. Aseem Sinha’s editing is very incoherent as scenes start and end at random and are not put together well.